Strain is most commonly sensed by measuring the change in resistance of a metal foil (i.e. strain gauge or strain gage) as it stretches and compresses. Strain gauges are bonded to the surface of the strained material so that they stretch and compress in the same amount as the specimen. A strain gauge (or strain gage) is a foil resistor that has the wire routed several times along its main direction to increase its length while keeping its overall surface area small. The resistance of the wire is proportional to its length and the aim of the strain gauge is to provide sufficient change in resistance at relatively small changes in its overall lenght. Typical material for strain gauges is constantan as it is very insensitive to temperature expansion. Strain gauges should ideally be insensitive to the strain applied out of their nominal direction. What equipment is used to measure resistance of a strain gauge? Very low changes in resistance need to be measured precisely in order to get usable engineering results while measuring strain. Wheatstone bridge circuit of four resistors outputs reasonable voltage for small differences in resistance of its elements. When all four resistors are the actual strain gauges we are talking about full-bridge strain measurement. If only two or one resistor in the bridge is a strain gauge and others are non-strained bridge completion resistors, we are talking about a half-bridge or quarter-bridge strain measurement. 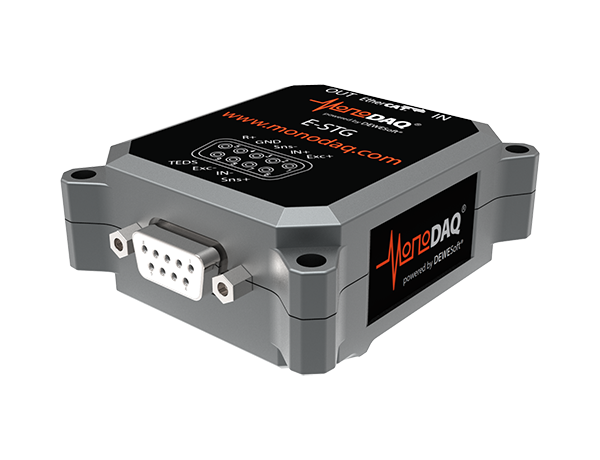 A strain gauge amplifier needs to have a very high input impedance since the output resistance of a bridge is typically 120, 350 or 1000 ohm. It needs to provide a very precise and low-noise excitation voltage to power the bridge. Its input measurement range needs to be in the range of milivolts: a typical strain gauge has a full scale range of 2 mV/V, which means 10 mV at 5 V excitation voltage. Since the measured voltage levels are low, the amplifier must also provide good filtering to counter noise pick-up. 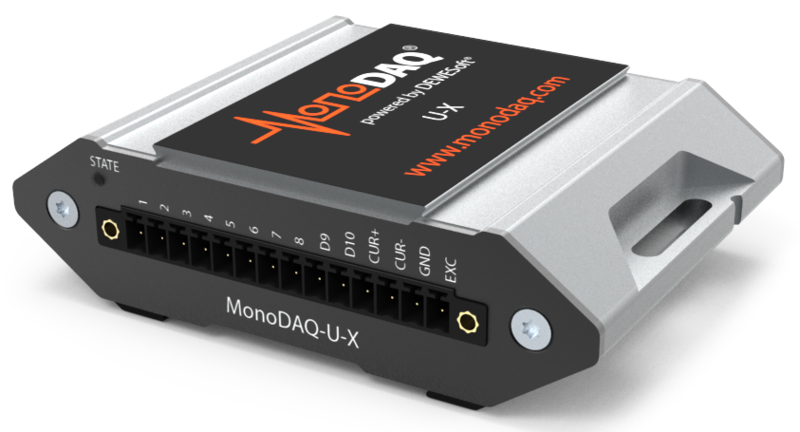 MonoDAQ® d.o.o. A DEWESoft® company.